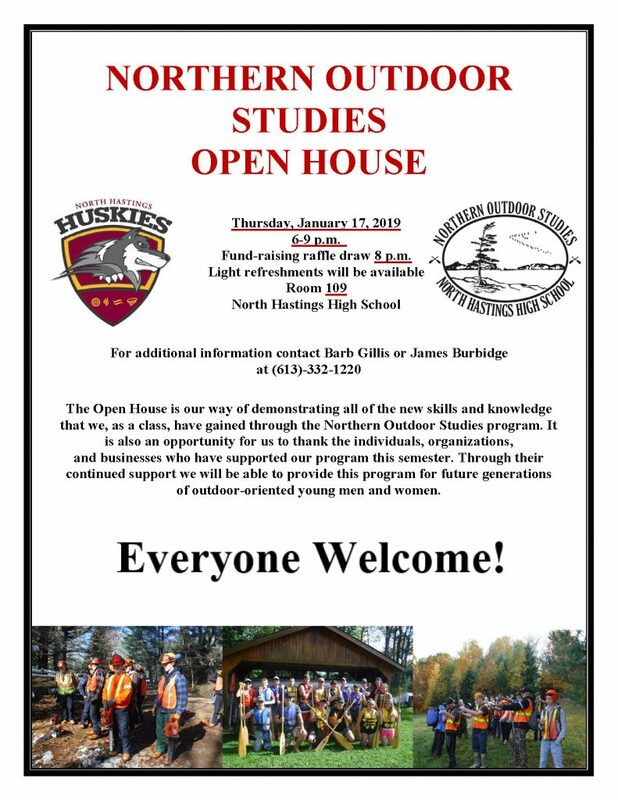 January 9, 2019—Students in the Northern Outdoor Studies program at North Hastings High School are excited to share their experiences and learning at an open house. This year is a 20th celebration. To date 355 students have participated in the program. The event is also a way to recognize the individuals, organizations and businesses who have supported the NOS program. It is through their continued support that the program is available to future generations of outdoor-oriented young men and women.